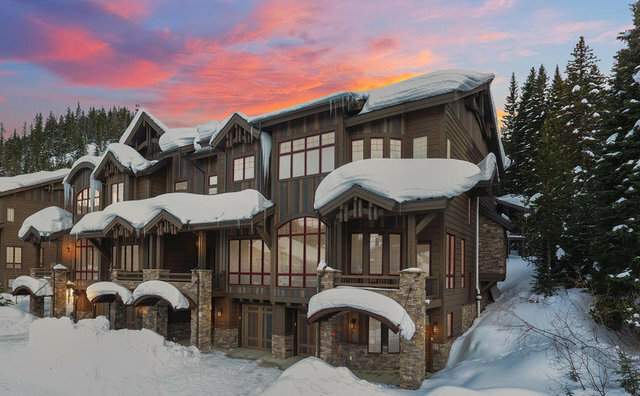 SUNNY, SPACIOUS AND LUXURIOUS ski in ski out town home, overlooking lush pine and spruce forest. Enjoy the private hot tub and outdoor fireplace year round Gourmet kitchen with top of the line appliances Asko, Wolf, Subzero. Spa like master suite with Bain Ultra jetted tub and see thru fireplace. Well designed open floorplan painstaking detail and effort went into every aspect of this home from design to finish. Located near the base of Winter Park Ski Resort on the Corridor Trail and the Green shuttle line. This bright end unit has windows and views on 3 sides, plus 2 private decks, wet bar, 3 fireplaces. Bedrooms include two master suites, a private guest suite den and an additional bedroom with adjacent 3 4 bathroom. Stunning architecture with natural stone inside.